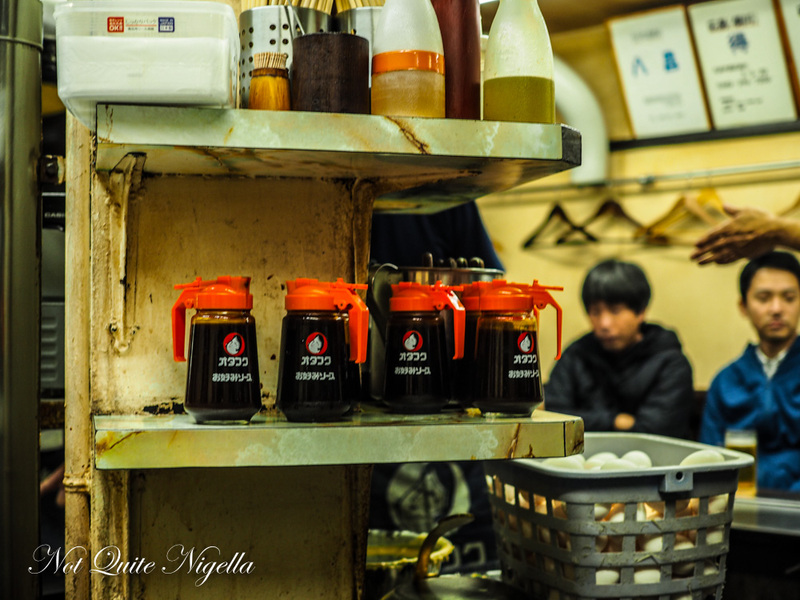 The city of Hiroshima on the Western side of Honshu in Japan is a place that has some fantastic must eats. 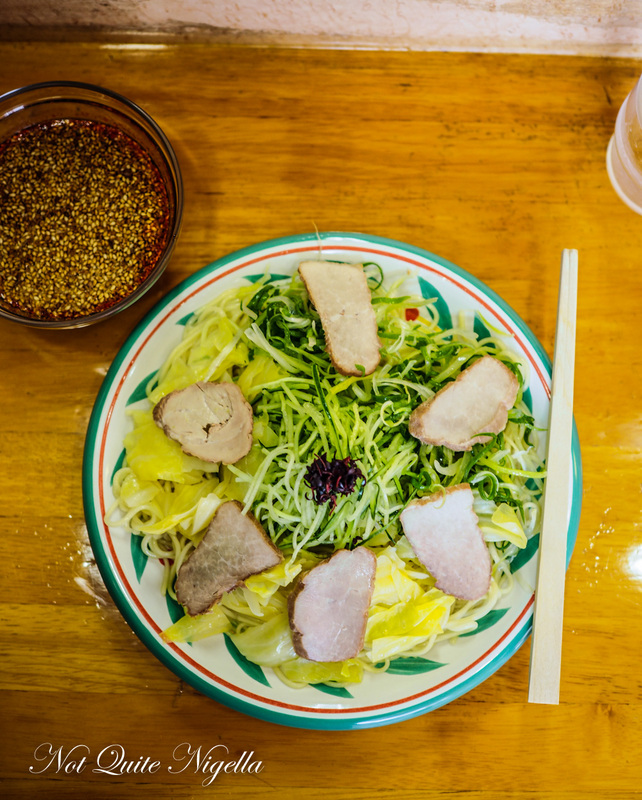 Japan is a very regional destination where foods from a particular area and seasons are very much observed. Fantastic oyster, anago eel and spongy maple sweets are what Hiroshima is known for. 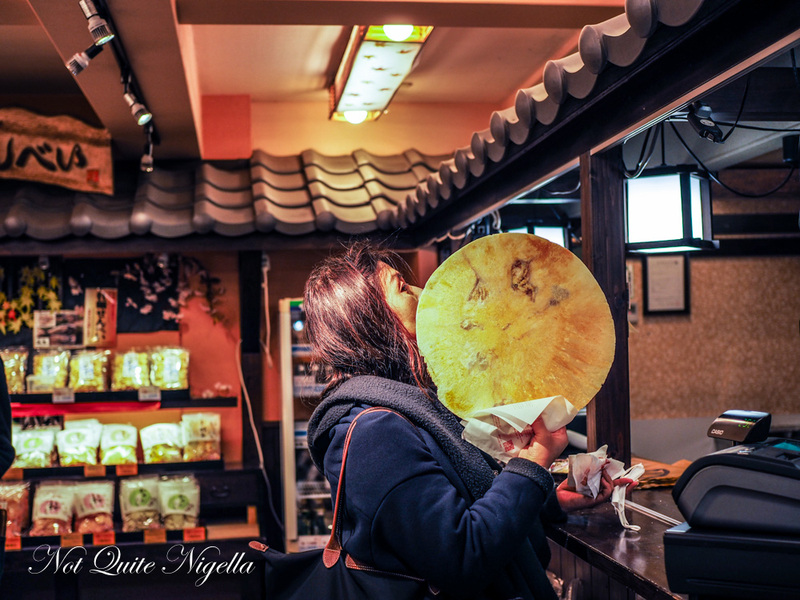 And there are some special noodle dishes too like the Hiroshima okonomyaki which is a crepe filled with a layered range of delicious fillings from grilled soba to meat and vegetables. It's a dish you may remember for a long time to come. Six years. It had been too long since I had visited Japan, a place that I had lived for two years following university. It was an important time for me personally, throwing off the well meaning but suffocating bonds of my parents. It was there that I gained independence and control. I went over with a one way ticket and no job but in that inexplicable confidence of youth, I somehow knew that it would work out. Either that or I hadn't thought about it too much or contemplated what could go wrong. 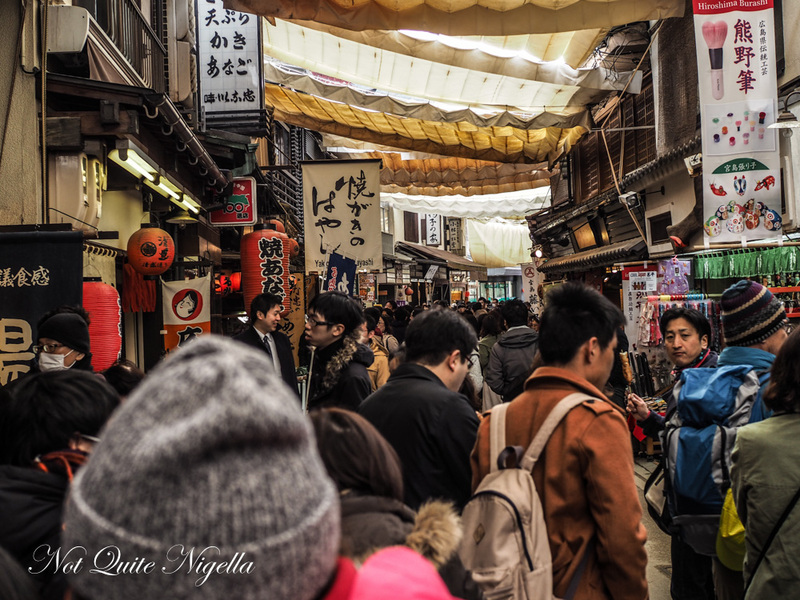 Although I speak virtually no Japanese nowadays, the words fall back into my mental dictionary, the pages flipping rapidly and filling with familiar sounds on the plane ride as I am surrounded by people conversing in Japanese. I can remember more than I thought and I understand conversations around me, albeit at the most basic level. I remember the overly worked over politeness and attentiveness and the body language. The bowing - the deeper the bow the more important the person. 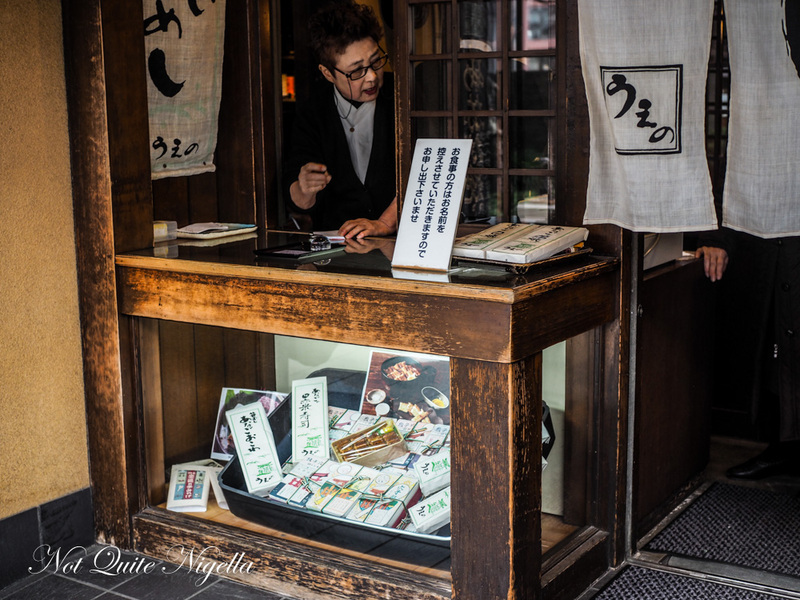 The elaborate exchange of meishi business cards. The politeness that is such a hallmark of the Japanese character. And now six years later I am visiting places in Japan that I never visited before. My first stop is Hiroshima on the western side of the Honshu island. It's a 1 hour 40 minute plane trip from Narita Airport with low cost carrier Spring. It's the only airline to fly to Hiroshima from Narita airport and the fare is less than 10,000 or $110AUD. I had arrived the night before and with my guide Mico san set off for the airport at the bleary eyed hour of 5:30am for the 6:40am flight. 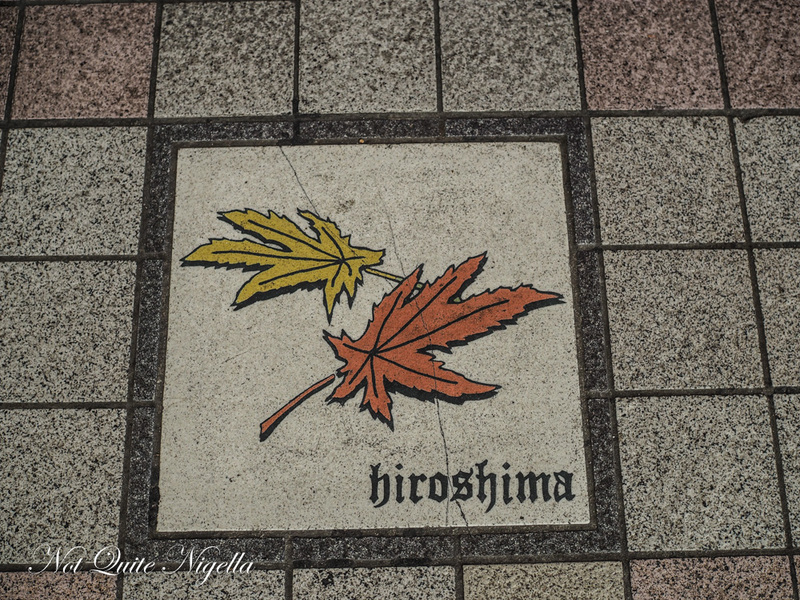 Hiroshima is of course known for its tragic history as the site where the first time atomic power has been used in warfare (apart from Nagasaki that followed). 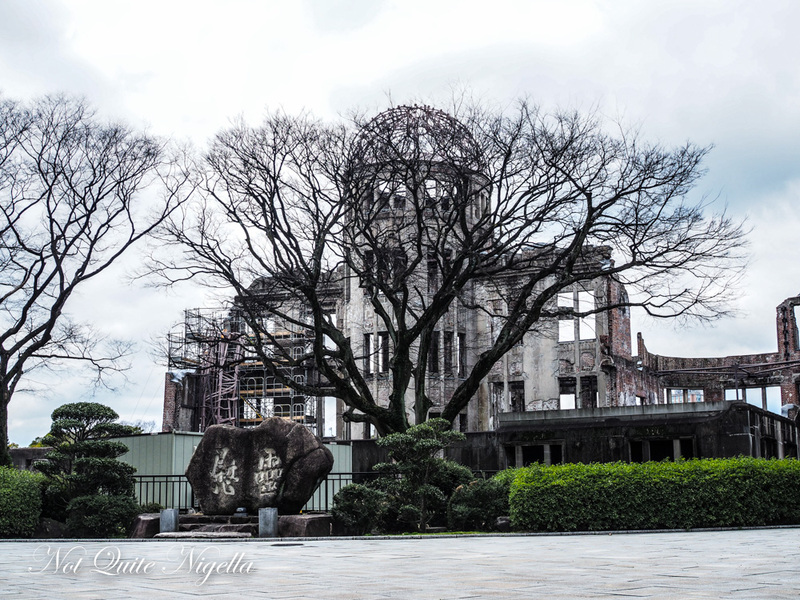 Hiroshima Peace Park is a short tram ride away from the centre. There are only three areas that have trams remaining in Japan: Sapporo and Nagasaki. The memorial is a reminder of the futility and horror or war when the Americans atomic bombed the area on August 6, 1945. Three days later Nagasaki followed. 129,000 people died as a result with many injured. The reason for my visit though is that it is also home to a wonderful food scene. 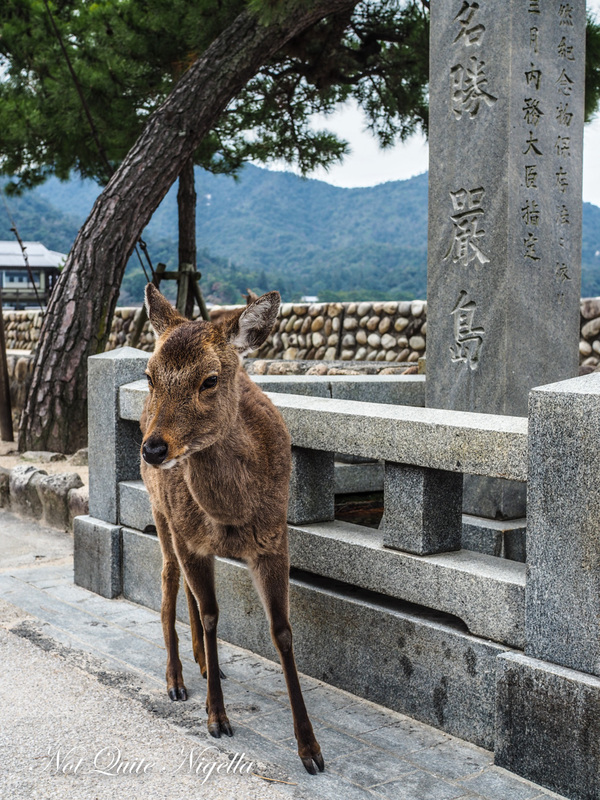 We are starting the day with a trip to Miyajima Island, a gorgeous island accessible by ferry where wild deer roam free (usually in search of a snack from a tourist) and it is also a place where people go to pray. And eat. And eat and eat. 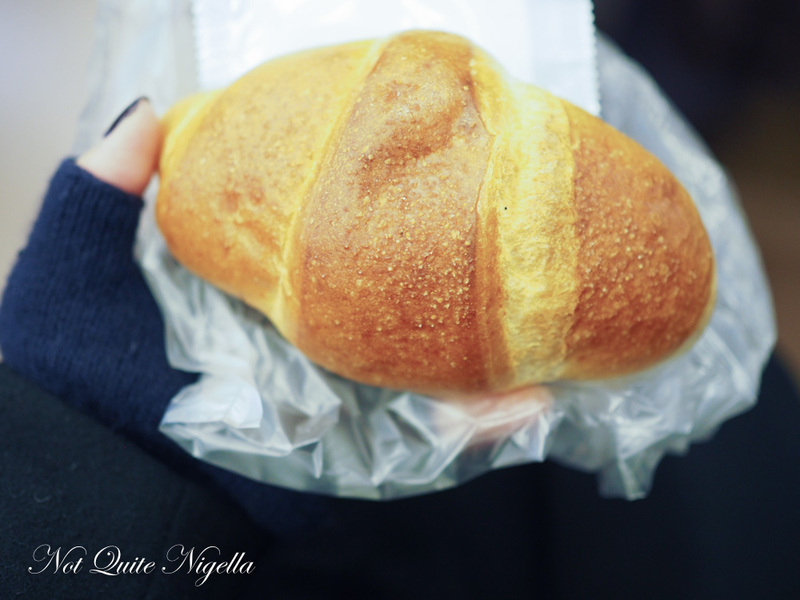 Mico san buys me a shio pan, a lightly salted soft bread baked into a croissant shape and I nibble on one snuggling into the heated seats on the train to Miyamiguchi station. 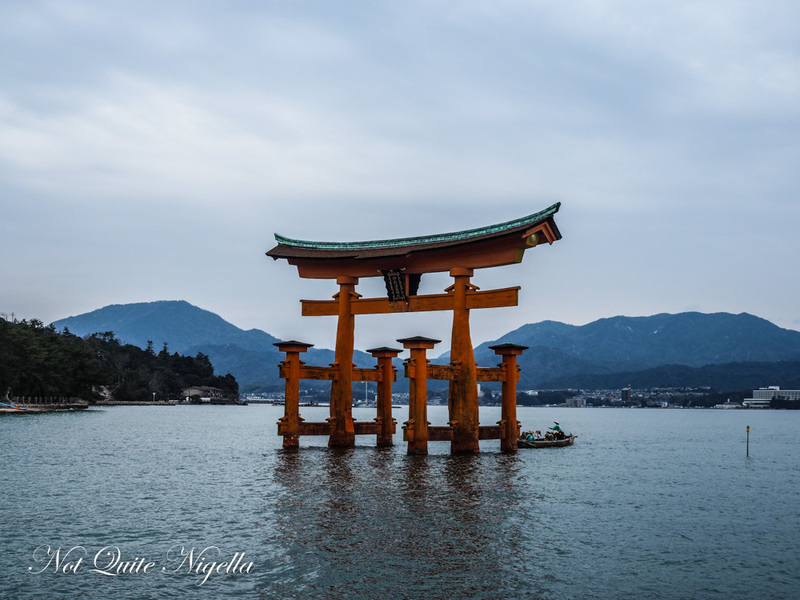 The ferry ride is 10 minutes and soon we pass the Miyajima Shrine and the red Torii gates. 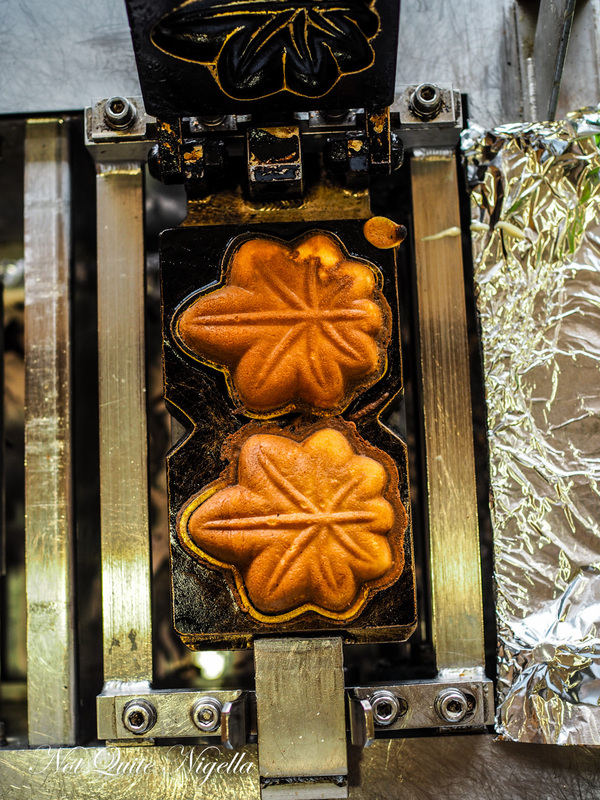 The most famous sweet food in Miyajima and widespread in Hiroshima is Momiji Manju. Momiji means maple and manju is a type of traditional Japanese cake. And at Yamada-ya visitors can learn how to make these cakes themselves. You heat up the pan, oil it and then pour in a sponge cake mixture. You then add in the filling - this is a sweet bean filling and a milk and dark chocolate, add some more sponge filling and then cook them for 30 second intervals over a fire, turning it four times to cook it for 2 minutes total. They come out beautifully stamped in a maple pattern. You can wrap them up where they take on a lovely spongey texture or eat them fresh and hot. They're wonderful warm especially the melted chocolate ones although for flavour nothing beats the traditional bean filling. I wonder if I'll see any deer and then I look around. 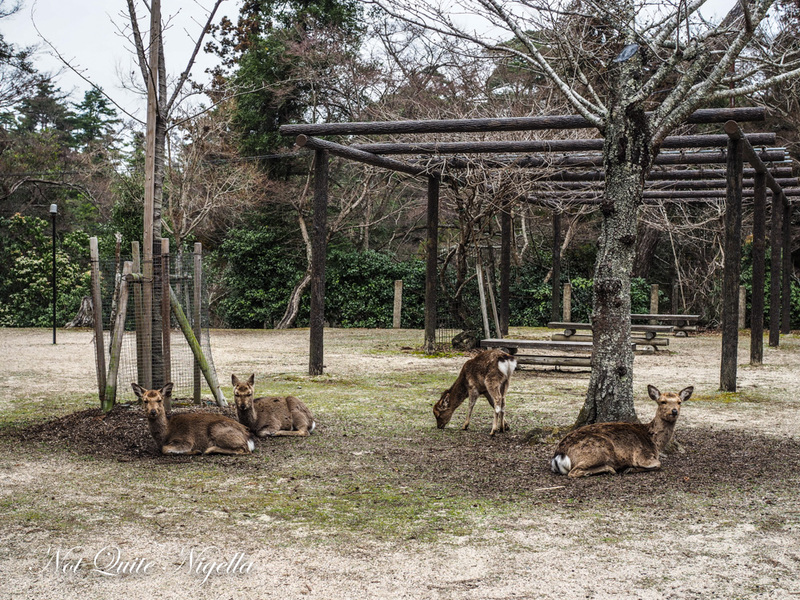 There are wild deer everywhere. Some simply are seated while pint sized kids stroke and talk to them while others pester people for food. You aren't permitted to feed them because they are wild but somehow the deer didn't quite get the memo. I watch as a man offers a deer a ticket. Not fussy, the deer grabs and swallows it before taking his map from his bag and chomping down on that. 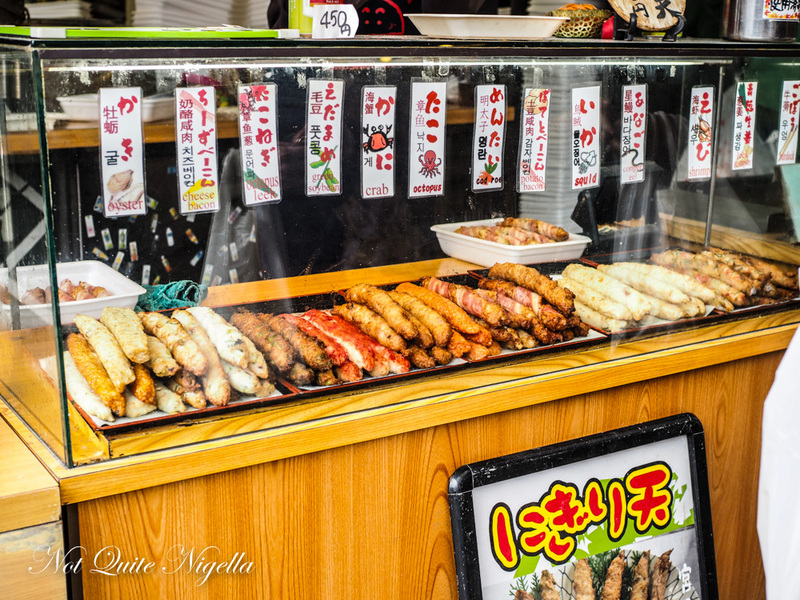 On Miyajima Island's Omotesando there's a huge range of street food and restaurants. The maple takes many forms, not just manju and they make fish paste snacks in the maple shape and crackers. Momiji manju also come in flavours like cream cheese, sweet potato, chocolate dipped, chestnut, apple as well as lemon and orange - nearby Seto Island is said to have calm weather ideal for growing citrus and lemons appear and they prepare it in many forms-salted lemon, chilli lemon drinks, lemon curry, lemon soba and anything you can really think of. Hiroshima is known for several foods and one of them is oysters. They are large speciments, easily double or triple to size of a Sydney rock oyster. They have oyster flavoured crackers and snacks but people really come to Miyajima to eat at one of the grilled oyster restaurants. We are at Kakiya (kaki means oyster while ya denotes shop), an oyster specialist. Other places do a combination of Hiroshima okonomiyaki (more on that later) and oysters but here they only do oysters in that wonderful Japanese way of specialising and perfecting one thing. 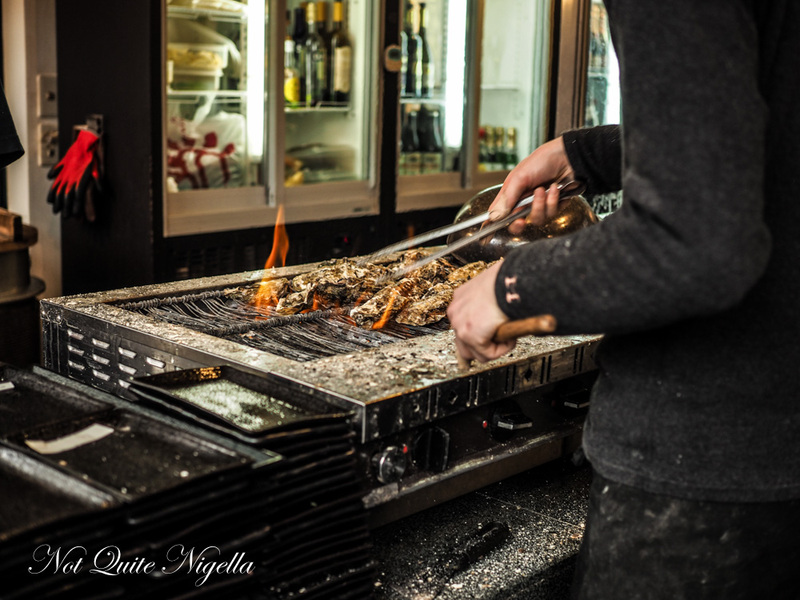 The line is long and they ease the queue by having diners peruse the menu while waiting and write down the order so once they're seated they simply hand the menu to the waiter. We're offered a bar seat downstairs where the familiar refrain of the pop of grilling oysters makes poor Mico san jump. We are having a range of oysters - alas the raw oysters are not available today so we try all of the other variations. They're not bad but I still don't love cooked oysters as much as raw. The panko deep fried oysters are good-piping hot and crunchy on the outside and rich inside. 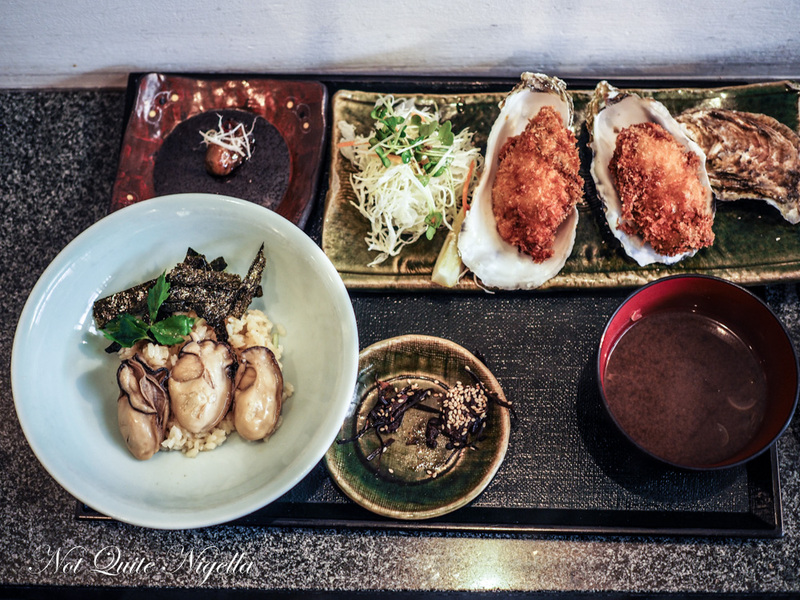 There is also a bowl of grilled oysters on rice with nori. But my favourite is the oiled oysters. What sounds like a rather unexciting prospect is actually delicious. They're slightly dried and then kept in oil. When served they're seasoned with negi or green spring onion. We walk along the stalls outside. 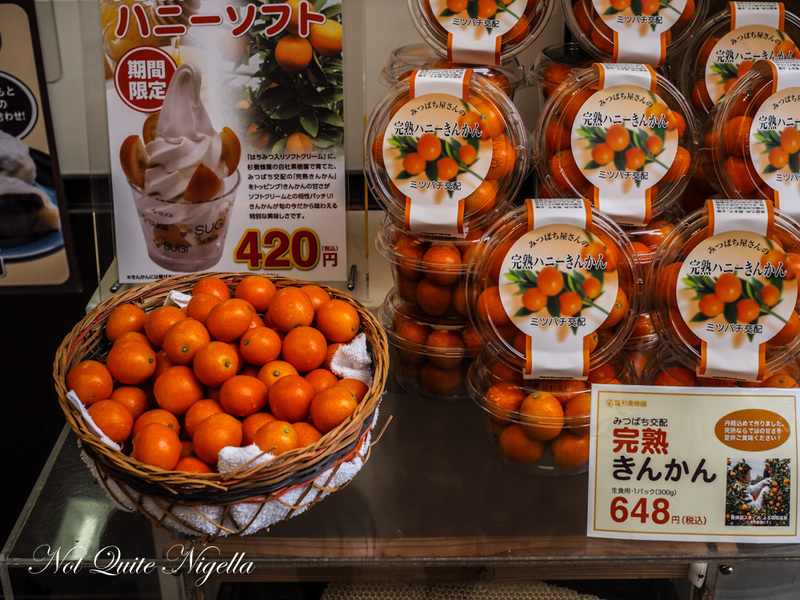 I try a Kinkan fruit - the fresh fruit can be eaten skin and all and its beautifully sweet with a marmalade flavour. We pass the enormous red gate or O-Torii. Even in times of typhoon and earthquake, this has never fallen over. Only gods are permitted to pass through the middle of the gate. 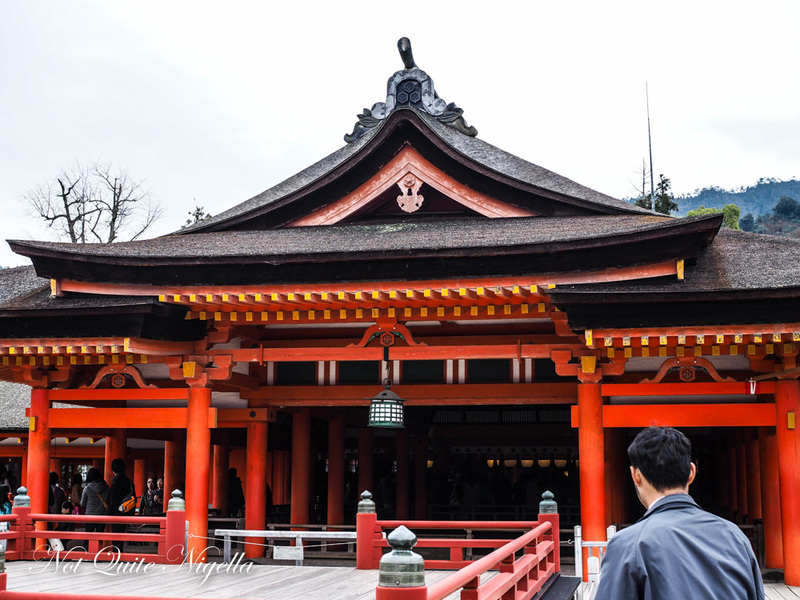 Behind this is Itsukushima Shrine built in the second half of the sixth century. It was remodelled by Taira-no-Kiyomori in 1168. 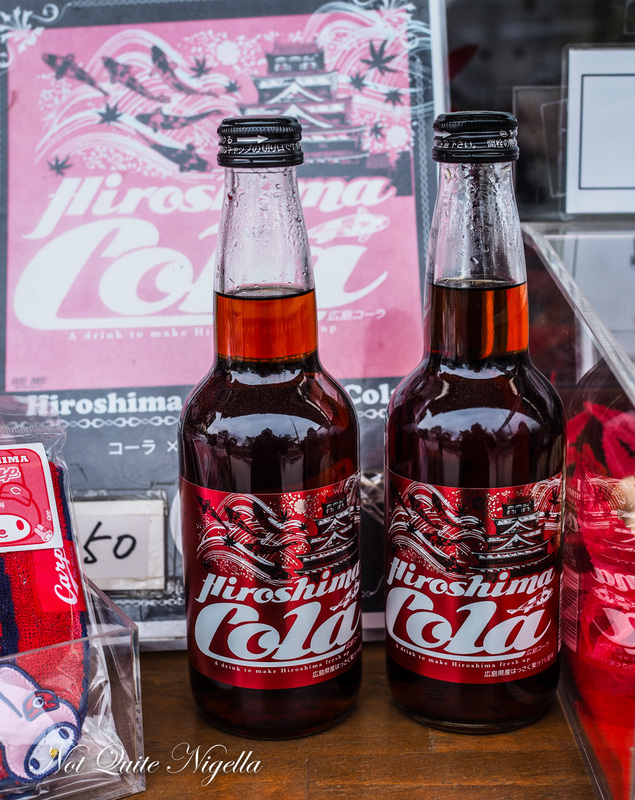 As we walk I spot a bottle of Hiroshima Cola-the water in Hiroshima is very clear and their cola tastes just like a home made Cola that I have made. We take the walk up to the ropeway which is a cable car. It's quite a walk uphill although there is a bus going down (haha wrong direction!). It takes us further up the mountain to Shishiiwa Station and you can take the steps further up to reach 430 metres above sea level. It's also a popular place for hikers (of which I am not). 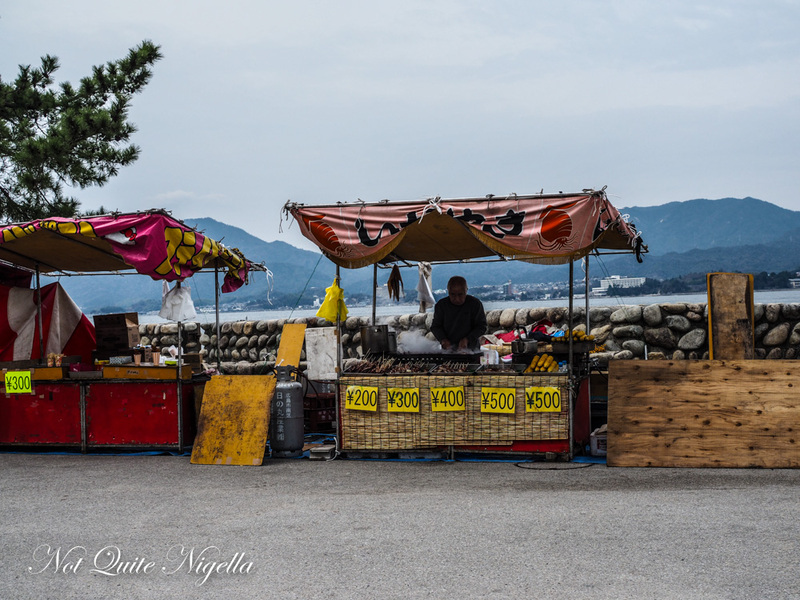 People also visit Miyajima to buy Shakushi rice paddles. Miyajima is known for making these wooden scoop paddles. Long cylindrical fish paste snacks are very popular and countless people walk and snack on these. I try a leek and ginger stick - served hot it makes for a delicious snack. Further down at another store I see a chilli dusted sembei and buy one. It too is warm as it is freshly cooked and the chilli is gratifyingly hot. And then I spot a girl with a cracker bigger than her face - it's at least a foot or 30 cms in diamter. It's an octopus cracker. They oil a grill, sprinkle some starch powder and four pieces of fresh octopus before topping it with more starch powder. 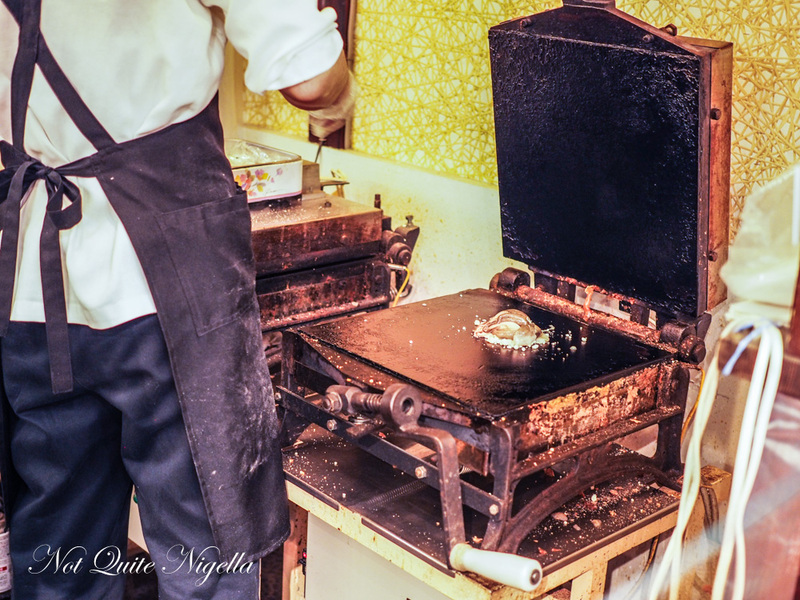 They press down the grill and turn the threaded handle and the pressure flattens it and cooks it to become a giant crispy chip. And you know what? It's fantastic. The octopus cooks and dries out and the whole chip has a sweet and salty seasoning. 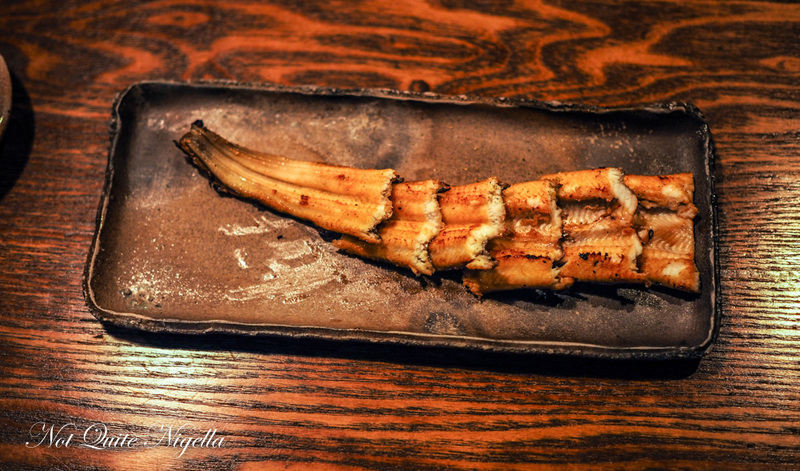 Another thing that Hiroshima is known for is anago eel. Different from unagi which is what we see more of in Australia, anago eel is grilled saltwater conger eel whereas unagi is freshwater eel grilled usually grilled with kabayaki sauce. Anago is also less rich and fatty than unagi. And there is no more popular place to have it than at Ueno restaurant just near the Miyajima Island ferry terminal. 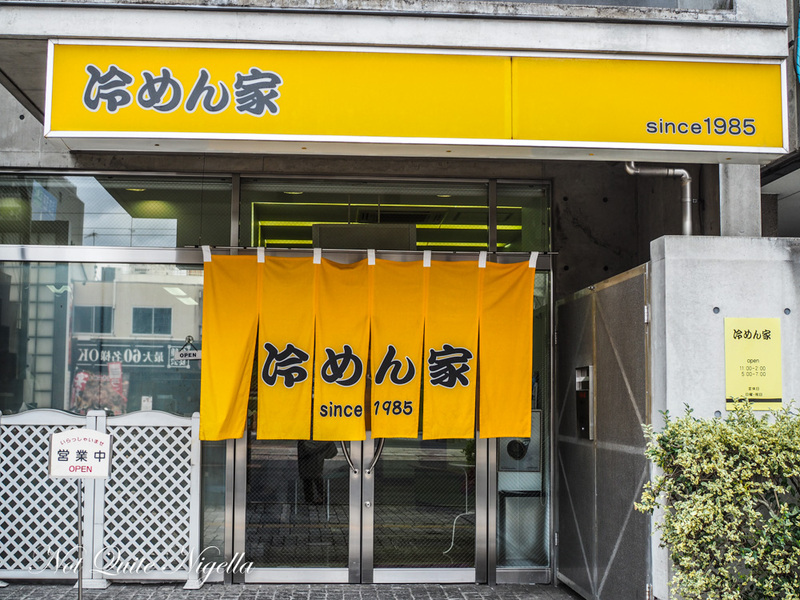 Open since 1901 it originally started selling ekiben (eki meaning train and ben short for bento) takeaway boxes. You put your name down and wait in the waiting room until your name is called. It's full of people awaiting their takeaway ekiben or a table. When your table is ready they call you through to the small 30 seater restaurant and they furnish you with a green tea, an oshibori (wet towel) and you order. 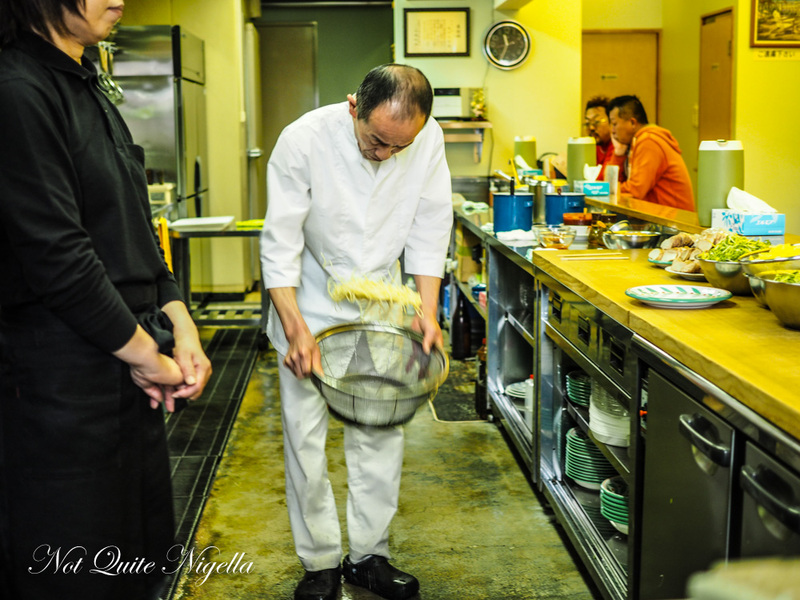 Mico san orders a plain "white" anago. This is eel without any adornments and it comes with a little wasabi and salt. She sprinkles some sansho powder that smells, admitedly curiously so, like lemon mrytle but doesn't taste like it. It has a rather addictive tingly sensation on the tongue like a rainbow of flavours. I then try the anago served on rice. This comes in three sizes and even the small (chisai) is substantial. On a bed of rice the grilled eel is meltingly good. 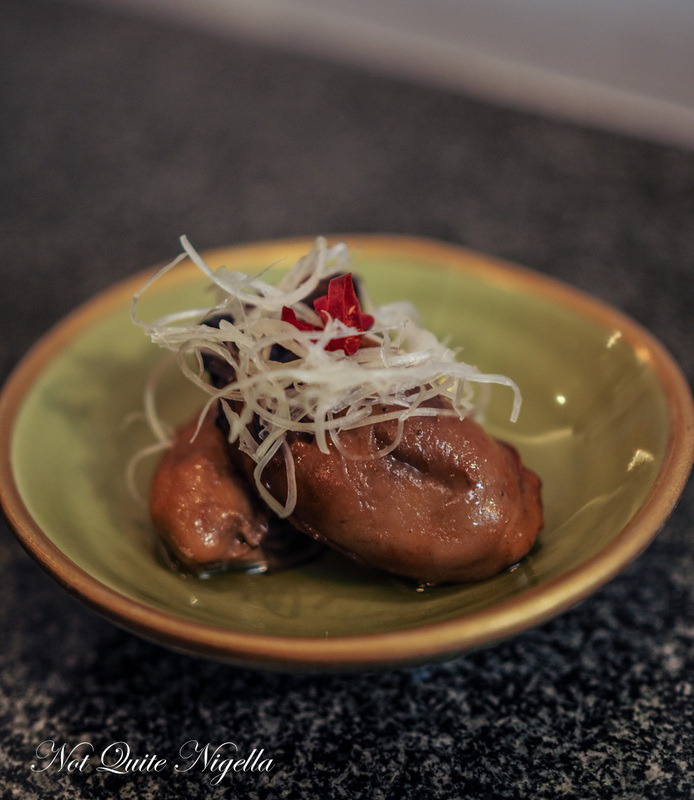 You are supposed to have a mouthful of eel and chase this with one of three pickles (Shibazuke-pink, Takuwan-yellow or Hiroshimazuke-green) or miso to balance the richness of the eel. I have an hour to do some work before I meet Mico san in the hotel lobby. We are staying at the Hotel Granvia. It's central but the rooms are quite small and basic. Small is of course normal for a hotel room in Japan. I will say however that it is very well located for everything that we want to do. But tonight we have to take a taxi to a place that I really wanted to visit: Hasshou Okonomiyaki. 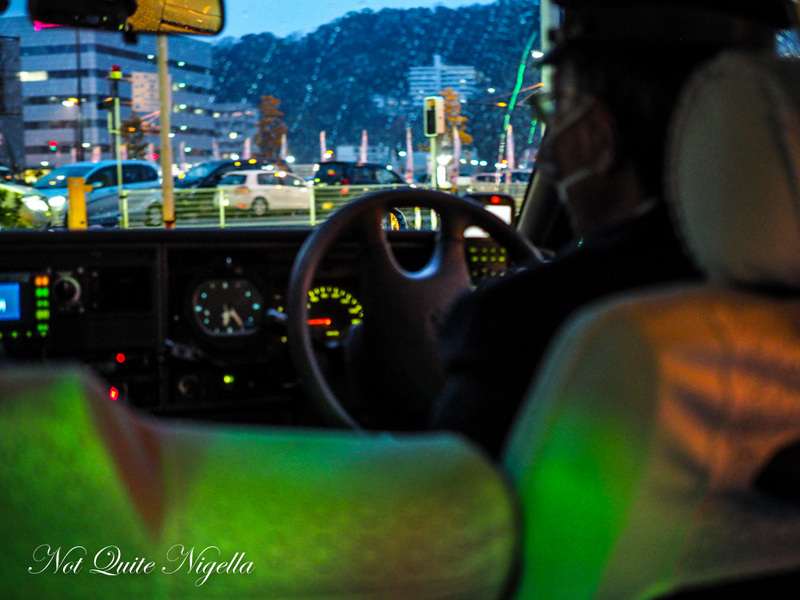 The white gloved Japanese taxi drivers are worlds away from Sydney's cabbies. You don't even have to touch the doors as they open and close automatically (they are free to hail if the neon kanji is red on the bottom right of the front window). The taxi smells faintly of cigarette smoke though. We are going to the main and original location for Hasshou out of three in Hiroshima and the city buidlings give way to sultry images of women indicating that it is the red light district. We see Hasshou and the dead giveaway is the queue outside. 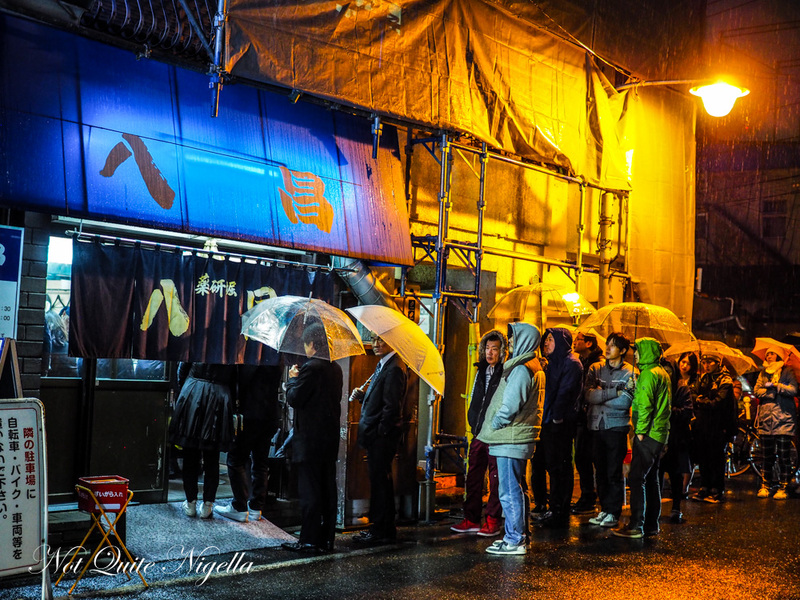 Even as the rain falls in fat drops people queue and queue. We haven't got umbrellas as it didn't start raining until we left so Mico san pulls her hood over her head and indicates for me to wait in the doorway with two other guys also in the queue. It's not an ideal spot as it is the exitway for an apartment block. The door opens as a smiling woman's face asks "Daijobu?" Japanese for "are you ok?". I'm fine but then she hands me an umbrella. "A present for you," she says in Japanese. How very kind! The smell of cabbage is replaced by the smell of grilled pork. 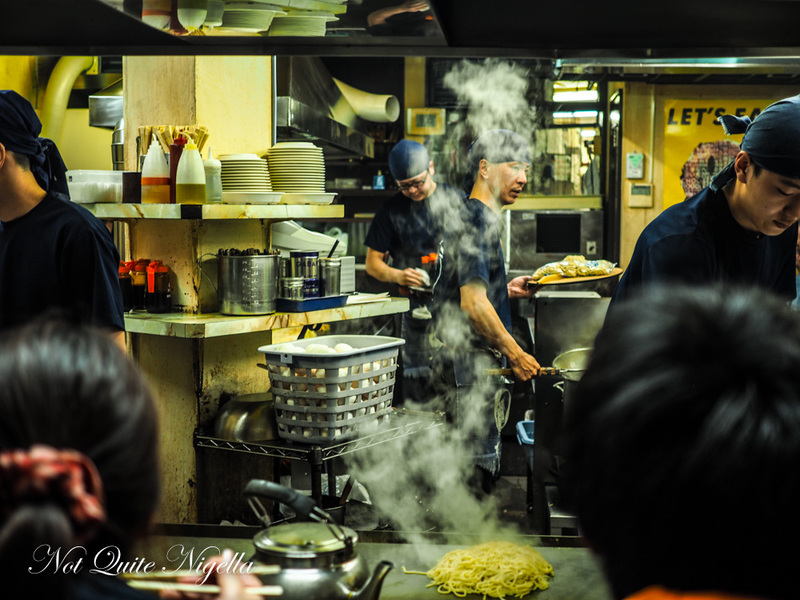 The aroma coaxes the traces of hunger out of me and I start to salivate involuntarily. We are only waiting about 15 minutes before we are called in. It's small and everyone sits in a U shape around the central cooking area. 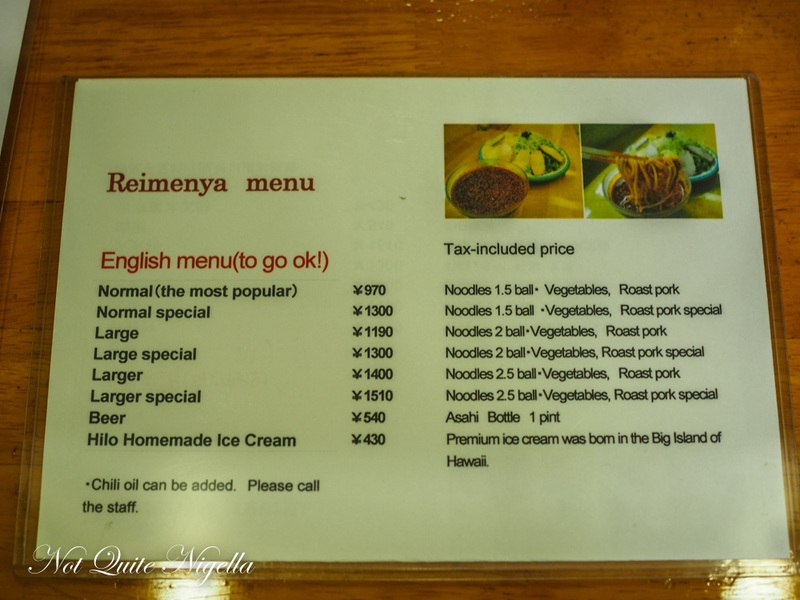 The menu is small-they specialise in okonomiyaki and so they do variations of it at a great price of Y890 or around $10AUD. There's also a soupy stew on offer and it heats in a giant pot on the teppan grill. 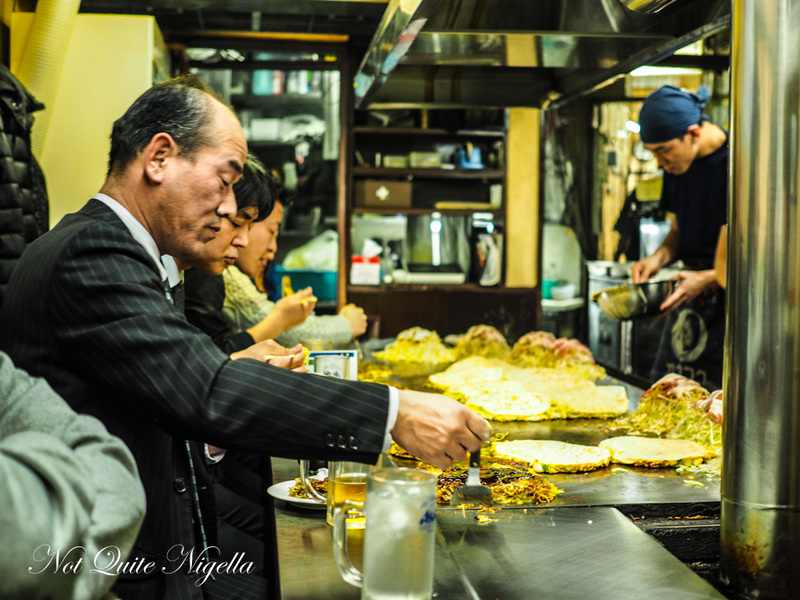 We watch as they create the base-Hiroshima style okonomiyaki as the ingredients are layered rather than mixed together. It is different from the Osaka style where all of the ingredients are mixed into a batter. A Hiroshima style okonimiyaki starts with a crepe like base made using Violet flour brand by Nisshin foods. Once this sets, three chefs carrying bowls deposit the toppings in a row. 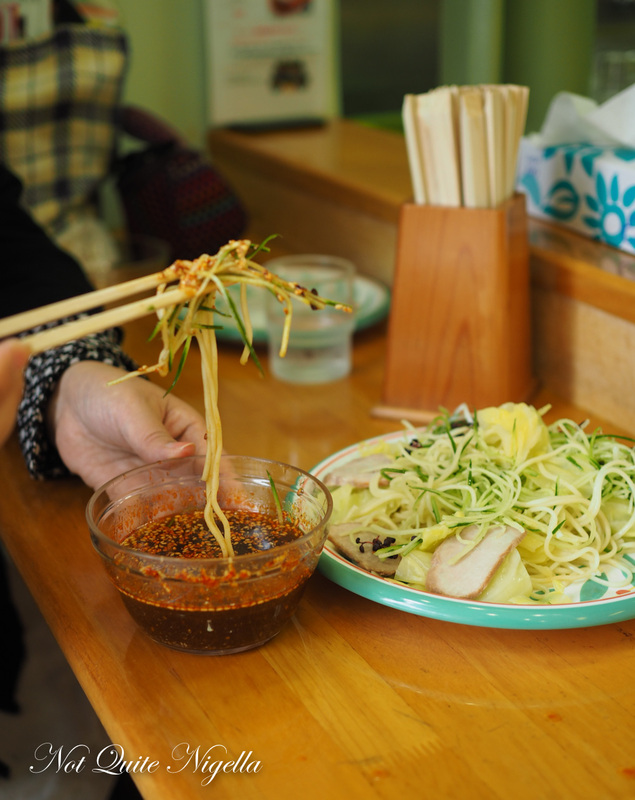 First there's cabbage, then there is tenkasu (tempura crumbs), egg, soba bean sprouts. Pork is added on top and while the pile looks enormous, it cooks down somewhat and they add a drizzle of crepe batter on top before flipping it over. This is then added on top of crispy fried and seasoned yakisoba noodles and eggs if you order them. 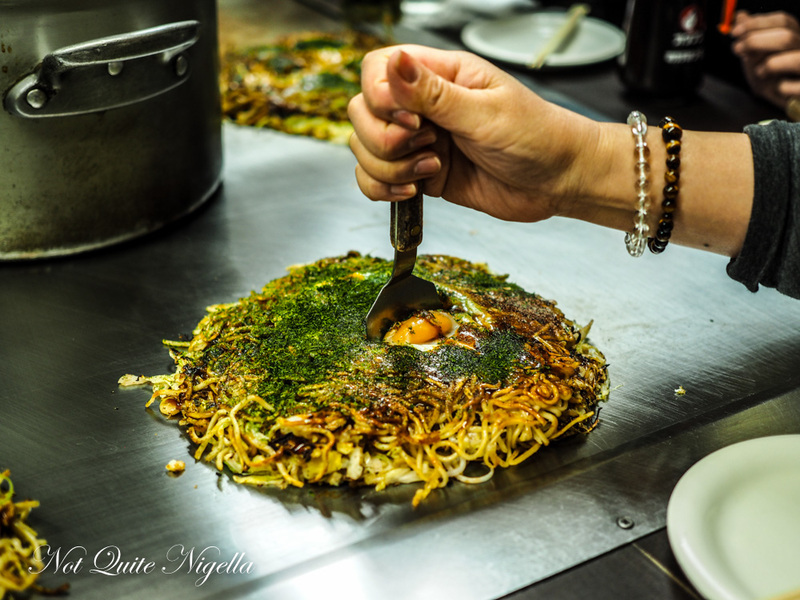 The top is basted with a okonomiyaki sauce and then the green aonori seaweed powder and then with two scrapers they bring the okonomiyaki to you where it rests on the warm teppan. To eat it you grab a scraper and cut it into pieces and eat with chopsticks. They take about 15 minutes to make as they are done to order. Mico san has the most popular kind, the Soba Nikutama (with pork and egg) while I go for two additions: negi (green spring onion) and cheese. You can also have it made with yakiudon or you can order straight yakisoba or yakudon as well as a couple of other dishes. So how does it taste? 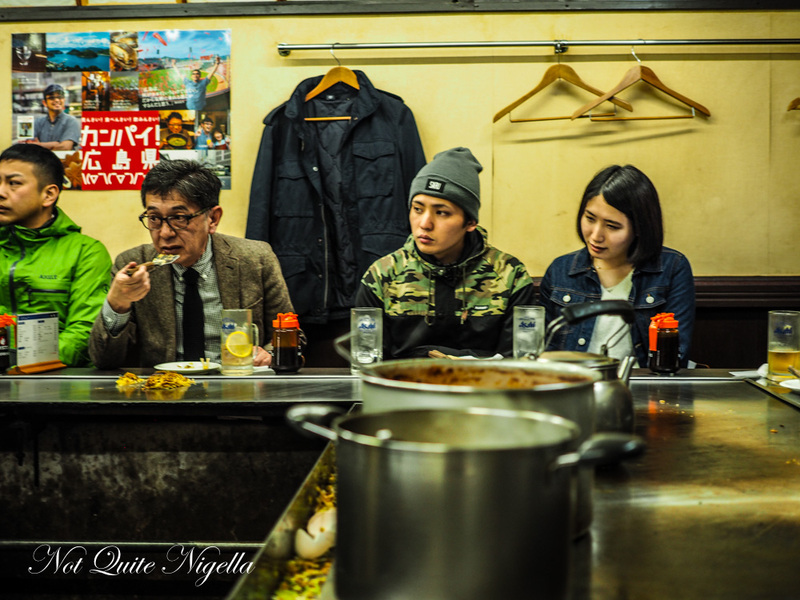 Well I write this with a warning: it may ruin you for okonomiyaki. I thought I loved Osaka style okonomiyaki but then I tried this. Mico san loves adding the Otafuku okonomiyaki sauce ("that's a good sauce" says Mico San and it is a local Hiroshima sauce brand) but mine doesn't need it because the negi adds so much flavour. There's also mayonnaise on offer if you want it but it doesn't need it (and honestly I'm never one to refuse mayo). The crispy pork and noodles are wonderful with the soft cabbage and oozy cheese. I love the amount of vegetables in this-they're plentiful yet they're not bland at all. The next morning we try one another item is known for. Tsukemen ramen means "dipping ramen" and the sauce that it is dipped into is based on Rayu or a Chinese sauce that can be made spicier depending on the eater's preference. At Reimenya, open since 1985 they are known for this and they serve little else (except for Hawaiian ice cream, to soothe the palate in case the dipping sauce proves too fiery). 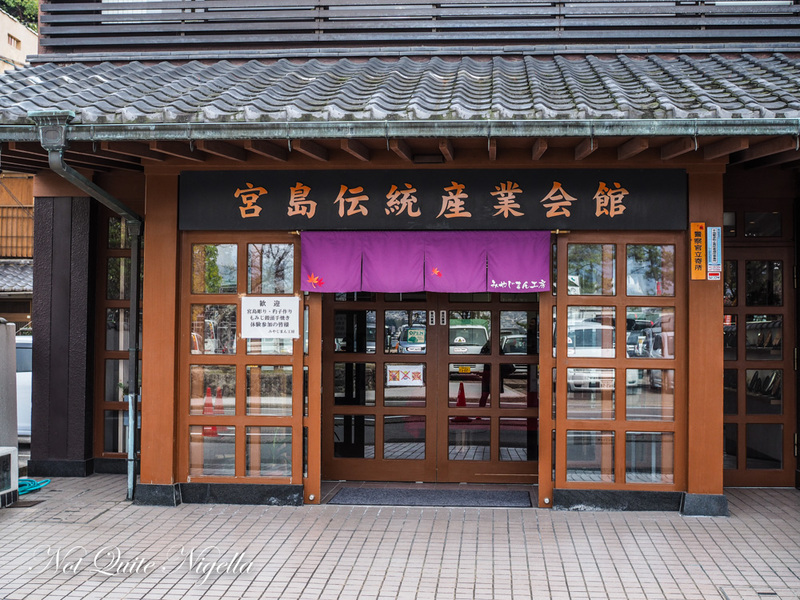 It is the second oldest Tsukemen eatery in Hiroshima. I start with "normal" which is said to have a hint of spice. It's ok but to me lacks flavour. I ask for more chilli and they bring a bowl of scarlet liquid and spoon some in. It brings the sauce alive. The come with spring onions, cucumber, ramen noodles and roast pork. It's a touch too spicy for Mico san but to me my lips tingle and the noodles spring to life. 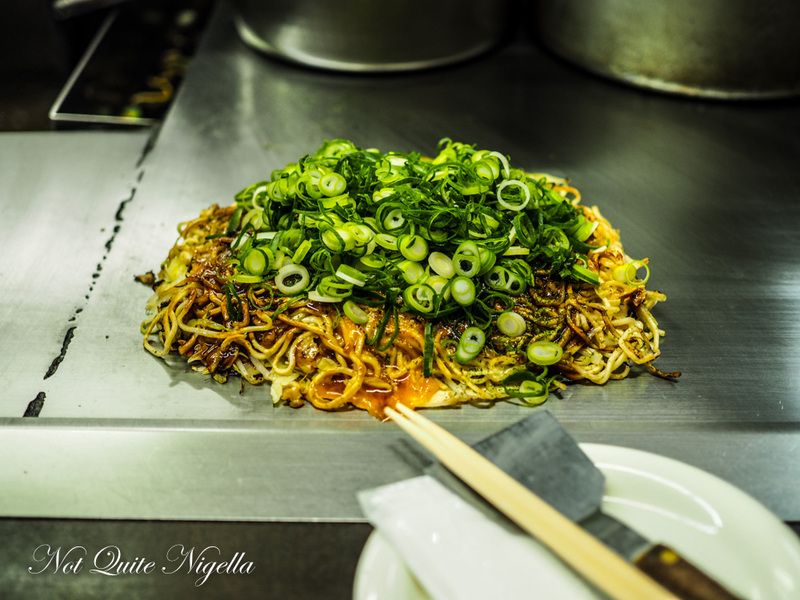 So tell me Dear Reader, have you ever tried Hiroshima Okonomiyaki and if so, which do you prefer- Hiroshima or Osaka style? 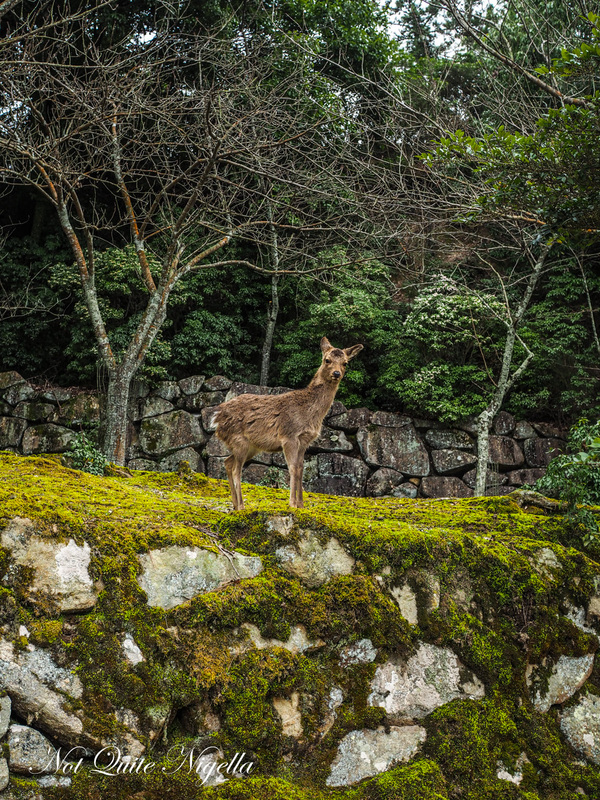 Have you ever been to regional areas of Japan before? 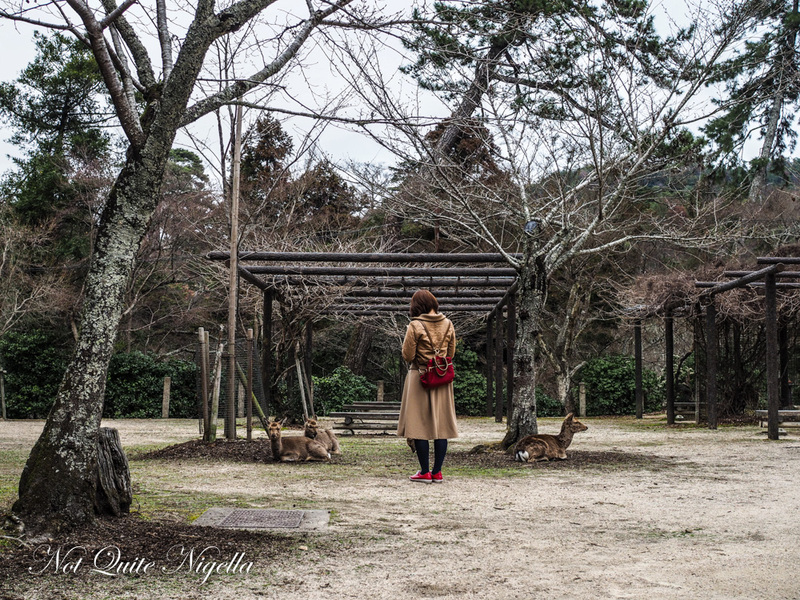 NQN travelled to Japan as a guest of the JNTO (Japan National Tourism Organisation) but all opinions remain her own. 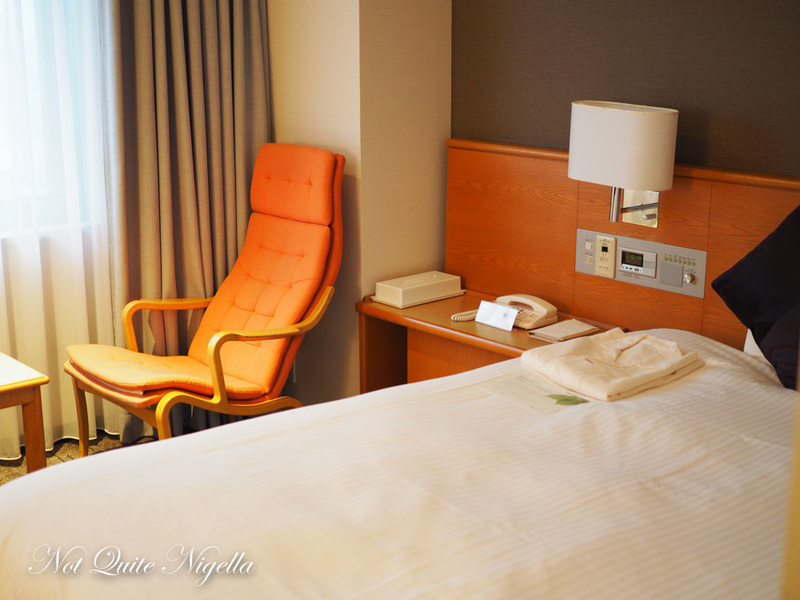 Hotel rooms in Japan are very small and beds and pillows can tend to be hard. I found most of the rooms to be a challenge and there were very few that I could recommend so I'm afraid that the hotel recommendations are light in these Japan stories. Also be aware that they have smoking and non smoking rooms but even in some non smoking rooms, the smell of cigarette smoke can sometimes pervade into non smoking rooms via the vents. Some hotel rooms have a machine that is said to purify the air. The 4 star hotels also give a comprehensive set of toiletries (razor, toothpaste etc) but no body lotion. Oh and staying at a hotel above a train station is a great idea if you have large bags. Internet access is well worth having particularly if you need directions. It can be either via a pocket wifi device that you can rent at the airport or by you can buy a SIM card (around Y4000 for 14 days). Internet service in the hotels is excellent, if you are used to Australian speeds then you will be very pleasantly surprised, even if you are uploading videos to youtube. Addresses in Japan are very confusing. It's almost impossible to figure out the address just from the set of numbers. As a result almost every business has a website with a small map giving you directions from the nearest eki or train station including which exit to go out of (very important). Or use google maps and plug in the address (why wifi is helpful). The Skinkansen is an excellent train system, one of the best in the world, if not the best. The Japan Rail system has many trains that leave every hour and you can buy the tickets on the day. Having a reserved seat is a bit more expensive but worth the extra expense. There are three types of Shinkansen and they differ in cost and speed. 1. Nozomi is the fastest type of train and the most expensive 2. Hikari is slightly slower but not significantly so (and you can use your Japan Rail Pass for the Hikari) and 3. Kodama or the all stops. Green cars are the equivalent of Business Class. On some legs there is a trolley that goes through selling food, others there isn't so grab an ekiben (train bento) before you board. There is supposed to be internet on the skinkansen but I never got this to work over about half a dozen trips. Visit at least one department store food hall (I'm a bit obsessed with them). They're incredible destinations in themselves for food supplies. I also love combinis or convenience stores for the plethora of food that they offer. Beauty addicts like me get excited over things like makeup brushes and although this is not food related, Hiroshima is known for its makeup brushes. Normally western brands cut the brush heads to the desired shape. In Hiroshima, they don't cut them, they measure them so that they are all the perfect length. This also means that they are softer on the face because the hairs aren't cut and they taper off naturally. 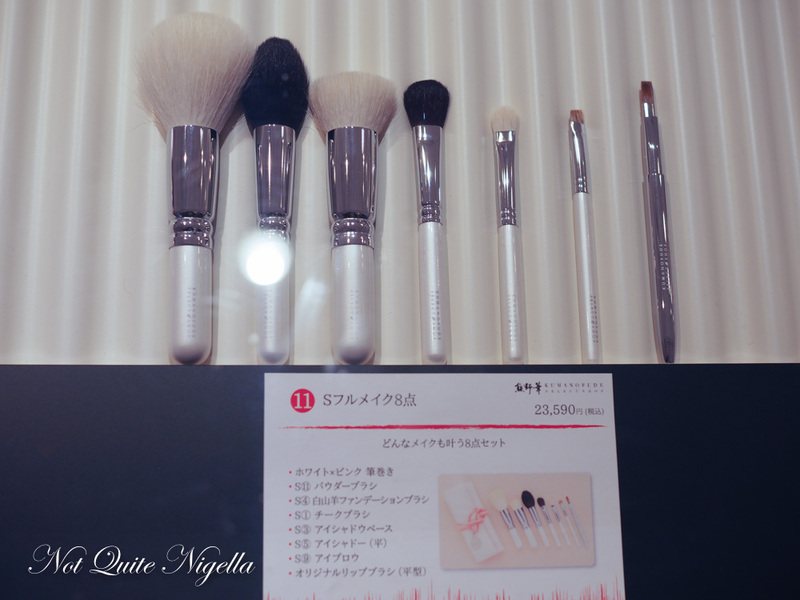 The time intensive process does mean that prices are relatively high but still on par with top quality makeup brushes. Tips for staying healthy. At the end of every day, because you come into contact with so many people I always made sure to do a salt gargle. I literally take a small jar of salt with me whenever I travel and add 1 teaspoon to a cup of hot water to dissolve it. 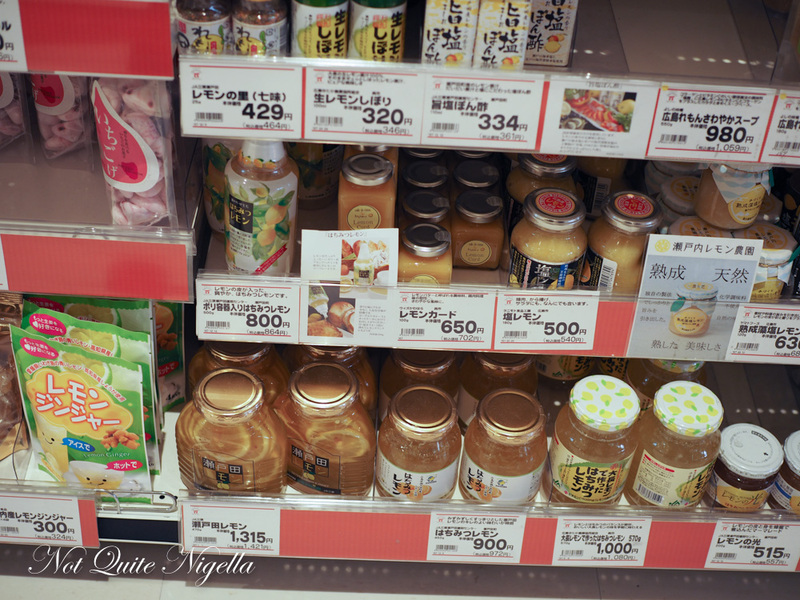 Other easy to find items are vitamin drinks. If I feel a cold coming on I buy a bottle of a Vitamin C drink-its less than Y100 or $1.20 and has 220mg of Vitamin C where the RDA is 60mg. It is very sweet however (70 calories or 120ml/4 fl ozs.) but I have found a jolt of Vitamin C doesn't hurt. 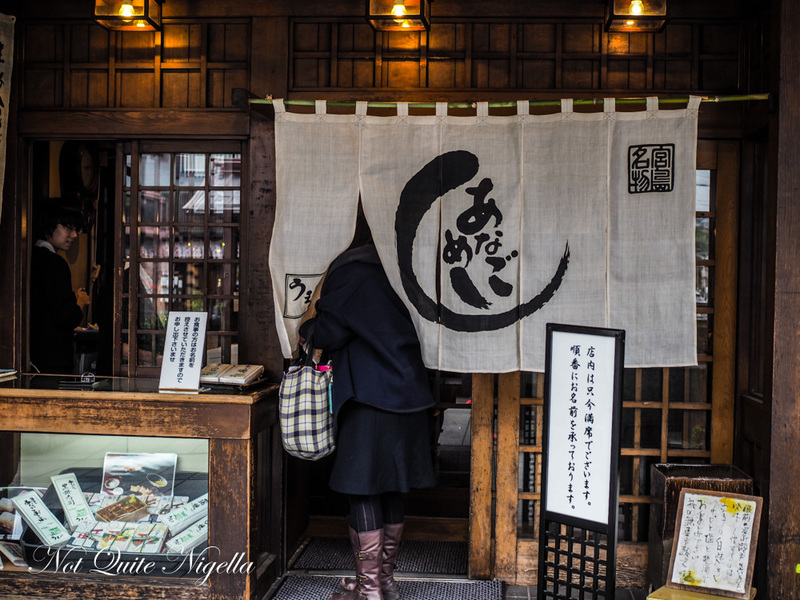 travelTravelling to Kyoto? 7 Absolute Must Eats in Kyoto! With Options for Vegetarians too! travel Travelling to Kyoto? 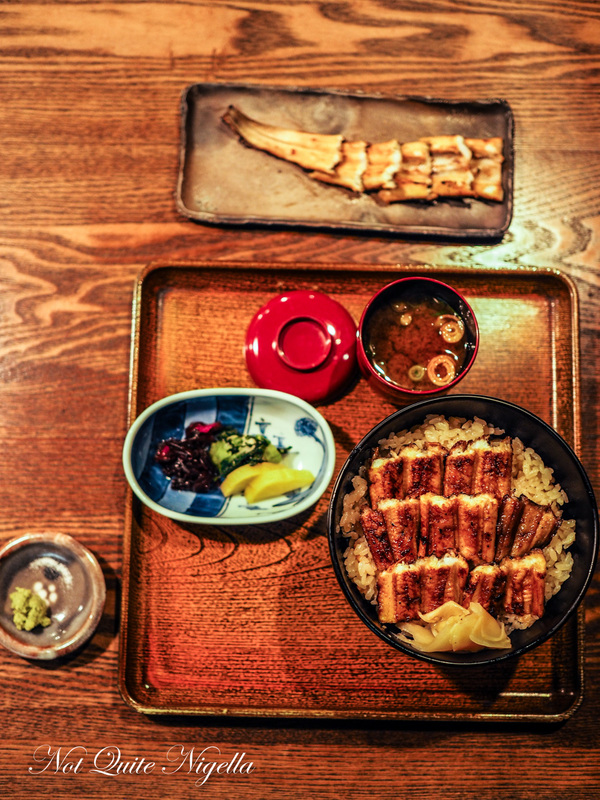 7 Absolute Must Eats in Kyoto! With Options for Vegetarians too!